This second and last part is focused on the interview with Black Badger after his visit to Baselworld 2015. Illustrated with a lot of photos- you´ll be convinced that there´s light even in dark corners of "the Den"(Black Badgers workshop). If you haven´t read the first part, click here! 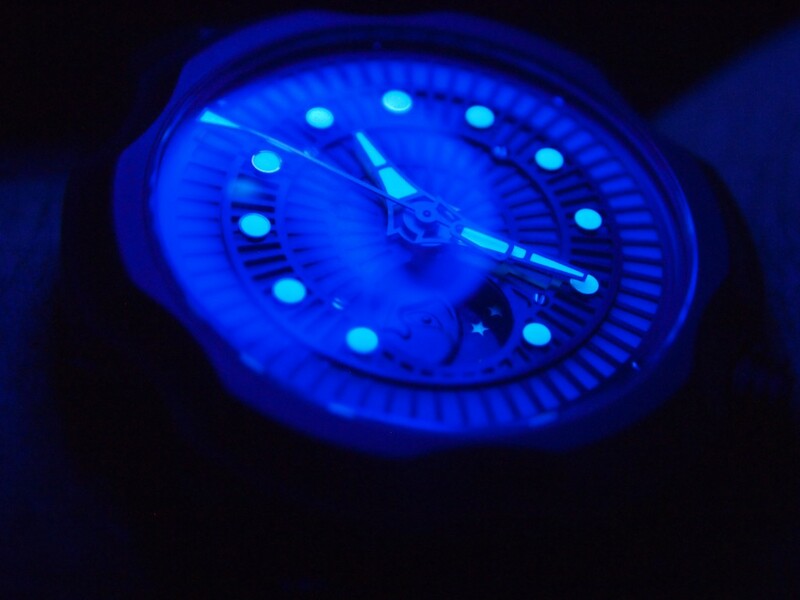 TTF Watchblog(TTF): - It's not the first time at Baselworld- but this year you were involved in Sarpaneva's Korona Northern Lights and with Loupe System-how did you pull that off?!? Black Badger(BB): -To be frank I really have no idea myself! I met Stepan at SalonQP in London last year, and it all started really conversationally. He had seen the work I did with the Schofield Blacklamp the year before, and we quickly started tossing ideas about how to really push the limits with these emerging materials. The Blacklamp took so long to be released that by the time I got mine, we were already miles ahead with luminescent capabilities. - Stepan is just fantastic to work with, because he's just so, well, Finnish! No screwing around or discussing things in a committee for hours on end. I went to see him at his studio in Helsinki and by the end of the first day we were already seeing a clear direction in where we were going. Midway through there second day we had already sold the first watch, based on a crappy iphone pic of one of Stepan's moon face pieces sitting on some chunks of scrap lume material. The message we got was "I don't know what the hell it is but I'll take it"
- The work with Loupe System kinda piggybacked on the Sarpaneva work as they know each other quite well. That one is still in developmental stage but the first prototypes I made were shown at BaselWorld to quite a good response I believe. (TTF) - Where do you get the your inspiration? (BB) - From absolutely all over the place. I get inspired from the process more often than not. I've never been much for sketching (likely because I'm horrible at it!) but I find then when Im making things the design kind of reveals itself as we go. Thats a real advantage of being an independent, never having to mess with budget committees or marketing projections and such. You can really wander your way towards the result. If you sit down to design a watch, you are going to get a watch. - But if you keep the process really open and liquid, you tend to discover a lot more along the way. You are more open to seeing things that you might hustle past in a very directed design process. And yes its a very charmed life being able to work like that! Pop culture is a major source of inspiration, as its more of the zeitgeist than we seem to want to admit. But shared experiences are what make the storytelling aspect of design function. Blackest of Badgers(pawing up his Korona)! (TTF) - What differentiates your work from other carbon wielders? (B B) - Probably the fact that I hate carbon fiber! Ha ha ha! As soon as you design something to be made from carbon fiber, it instantly has to have this Navy SEAL / Fast and the Furious kind of machismo about it that can be really really limiting. I started my design career messing about with carbon fiber because that was exactly what image I wanted to convey...maybe I read too many Tom Clancy novels or something. I liked that you could literally make ANYTHING in carbon composite, and it would be seen as cool or badass. Loupe System and some Bog Oak-and yes, it´s 5460 years old! - I'm more than a little sheepish about that now, and have a huge amount of respect for the amount of chemistry and energy that goes into creating such materials. 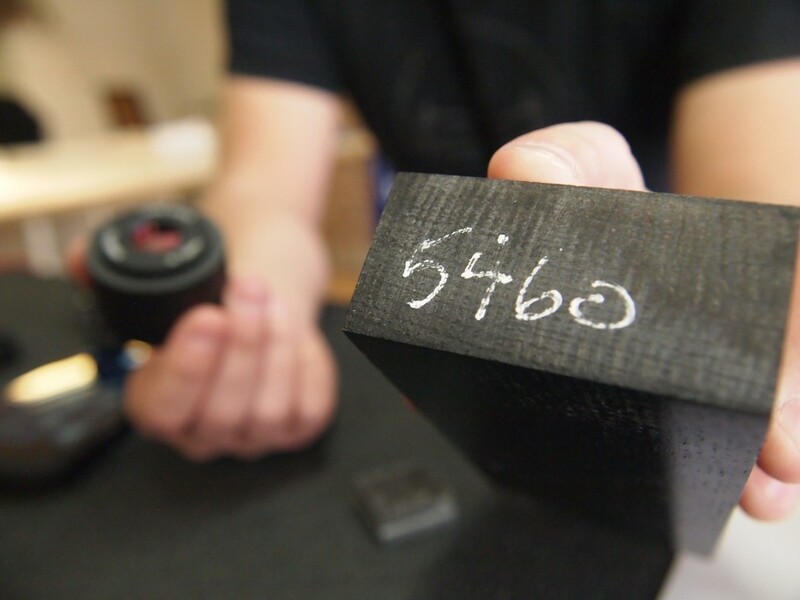 If something is going to be made in carbon fiber, there needs to be a direct benefit, otherwise make it in something else. 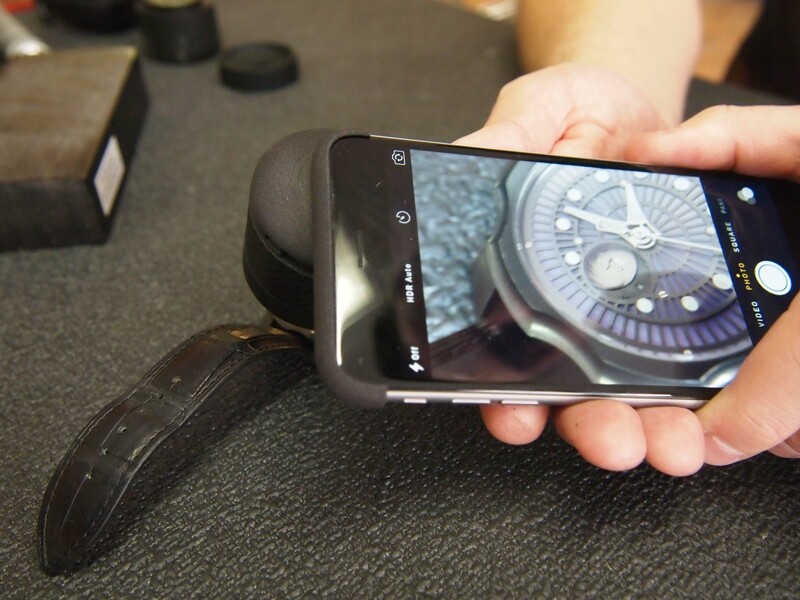 Look at the so-called "Forged Carbon" that some of the mega-luxury brands are using for watch cases...its crap! You can damn near flake it off with a thumbnail. But "forged carbon" sounds really badass, so people flock to it. Its the designers role to select materials for virtues other than pure aesthetics. 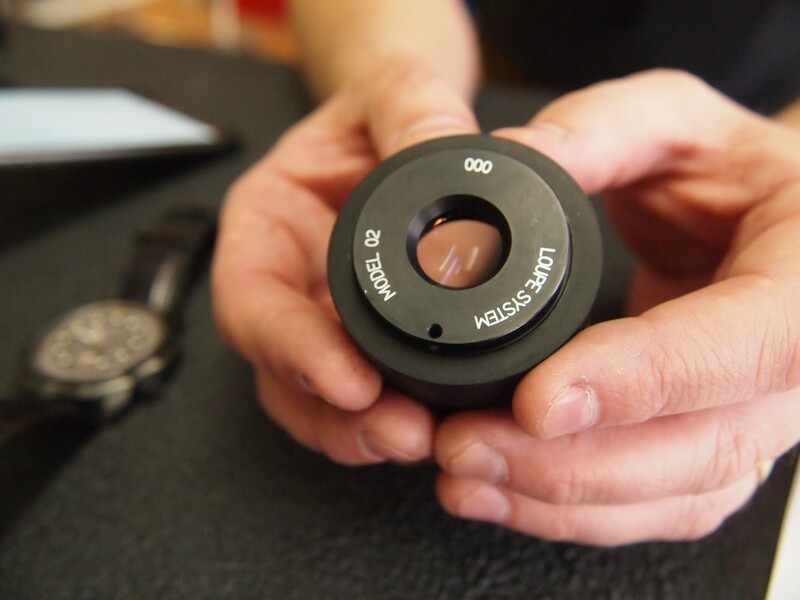 Loupe System- The lens on display. 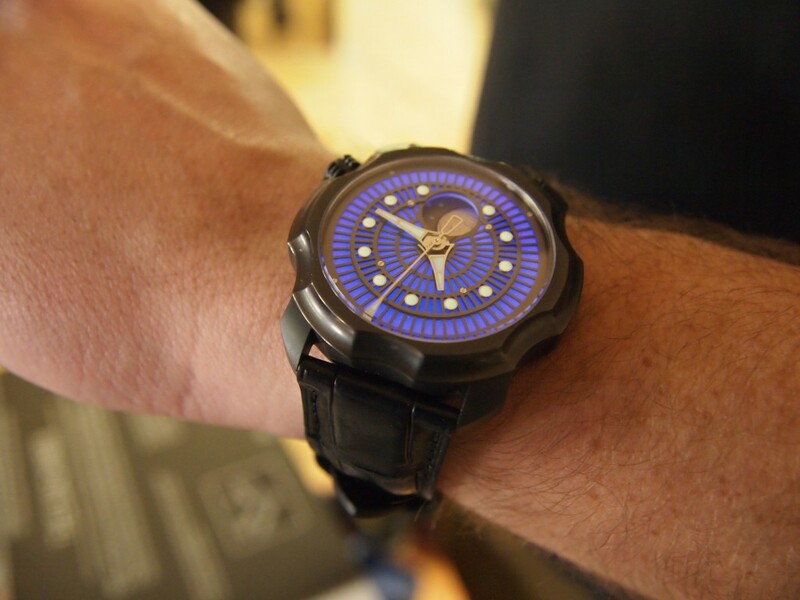 (TTF) - Have you thought of create your own Black Badger timepiece? (B B) - Ugh, yes. About a year and a half ago, I was working on a Black Badger timepiece design with my very good friend (and Black Badger Straps business partner) Gary Pemberthy of watchobsession.co.uk...we made piles and piles of progress on it but it never really came together as our third-party watchmaker kind of fizzled out. It was a massive amount of work down the drain. 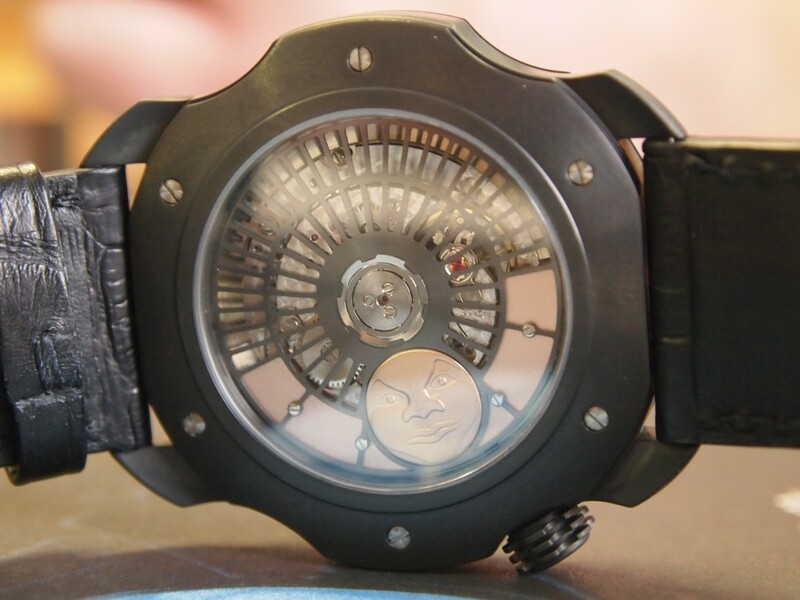 I think carbon fiber watches are on their way out of the market, its been overdone and been overdone with mixed results. At least carbon fiber in its current form...who knows whats being worked on in the Badger Den though, ha ha. (TTF) - Where lies the challenge in your working process(design, certain materials used, demand from others, innovating combos...)? (B B) - A lot of the challenge is also where a lot of the appeal comes from. And thats from being an outsider. 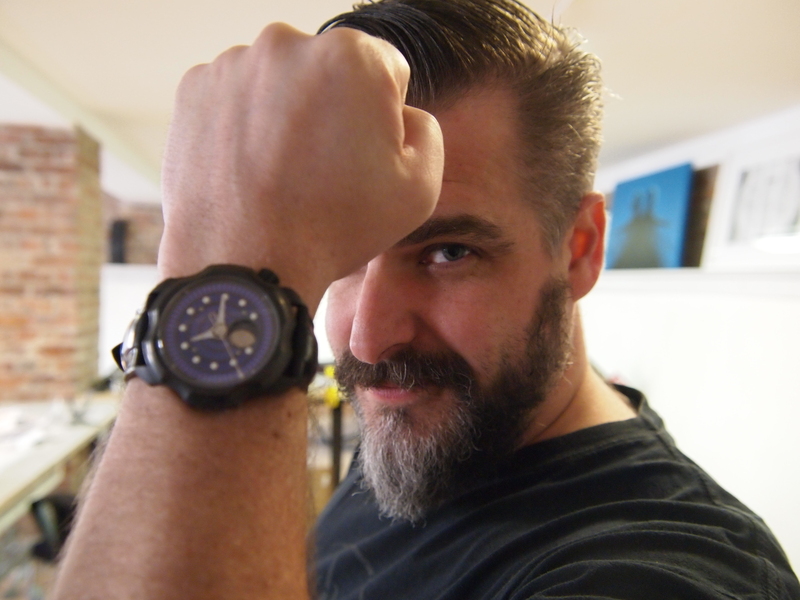 I'm an outsider in the watch world, I'm an outsider as a designer, hell I'm kind of an outsider in Sweden! But that mindset means never worrying about pleasing anyone. I'm notorious for using materials in the way they were not intended to be used, and from there stems a great deal of my aesthetic. 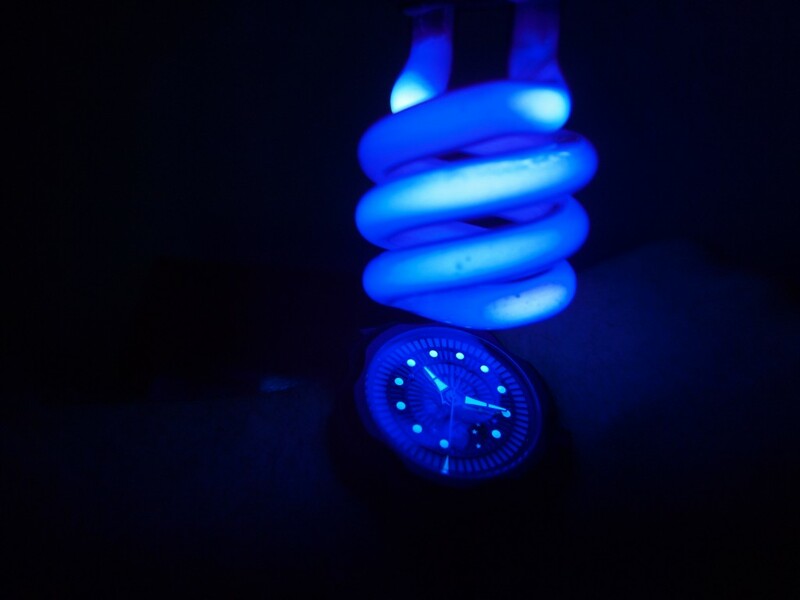 I mean this glow material that I've developed with Ambient Glow Technology of Canada was not developed for the luxury timepiece market! It's an industrial material, and by simply changing the context of it, we've introduced something to the industry that has never been seen before and has caused a MASSIVE stir at BaselWorld. It's great fun! (TTF) -Where did you come up with the name "Black Badger"? (B B) -Oh man its kind of embarrassing actually...when I was in design school in Lund, I was making carbon parts for paintball guns and that kind of thing. So I wanted a name and a logo that was cool and looked like some kind of special forces tattoo. I get no end of grief over it from my more business-oriented friends. But then again, it works great with my outsider-vibe! Plus badgers are, for their size and weight, amazingly tough fighters. A badger will go up against a grizzly...it'll lose, but it'll still do it. And I really like that parallel as I'm now slugging it out with the major Geneva brands from my little studio in Lindholmen! Bring it on! (TTF) - Any anecdotes you might share? (B B) - One real standout memory from BaselWorld was the network of independent makers that Stepan brought me into. I mean the Sarpaneva Northern Lights is only the second watch I've ever worked on..and one evening in our booth we are all having a glass of wine and chatting after a long day. I look around and realise I'm having a drink with Kari Voutilainen, Eric Giroud, and Stephen Forsey! I was kind of hoping no one would ask me anything so I would reveal what a colossal blockhead I am. Later on Fiona Krüger came over and introduced herself and we had a fantastic chat about our respective works. For someone who works alone in a studio all day, this was a real treat!! (TTF) What will happen 2015 in the Den? (B B) -You wouldn't believe me if I told you! 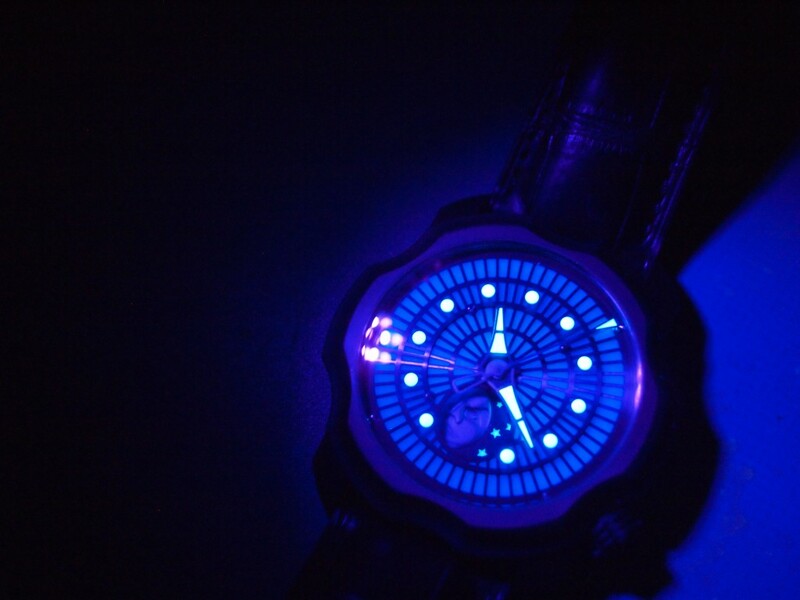 2015 / 2016 will see a collaboration between Black Badger and the most avant-garde, kickass watch brand in the industry. It will be nothing short of amazing, you have my word on that! TTF Watchblog wishes to thank Black Badger for this interview and will keep you posted on his on-goings. For more updates do follow Black Badger and of course TTF Watchblog on instagram.